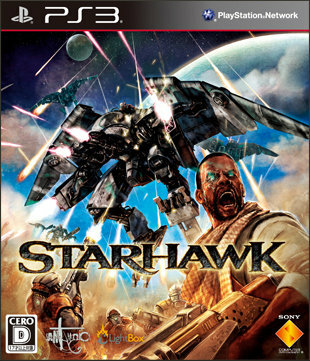 My lack of interest in this spiritual successor to Warhawk has nothing to do with me thinking it's a bad game, by the way. On the contrary, what little I've seen of it (erm, this trailer) looks quite good. 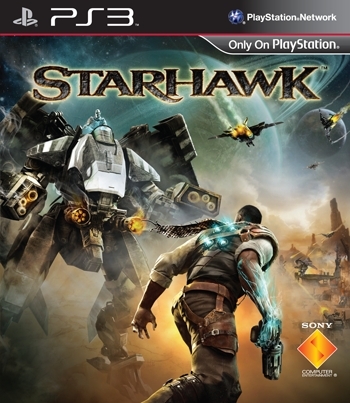 I'm just not a fan of first-person or third-person shooters--even space-based ones that feature giant flying mechs. That said, I am a fan of box art (duh!) 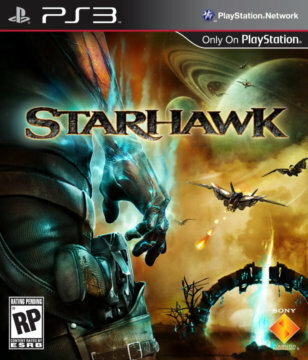 and I rarely seem to include PS3 covers in these "Which Box Art is Better?" posts, so I've decided to dedicate the latest one to Starhawk's many cover illustrations. As for which one I like best: I'm going to go with the Japanese cover due to the pop of bright blue that serves to draw a viewer's eyes to the giant flying mech that's being barraged by bullets. That said, I can't say I dislike the slightly-more-straightforward Euro/North American cover. What do all of you think? Do you like one piece of Starhawk box art more than the others? The Japanese cover definitely :) I usually go for more subtle and abstract cover designs, but if your going to advertise a game like that you may as well make it over-the-top trigger happy and explosive. The first two covers are good in their own right, but the japanese cover is a better presentation as a whole, IMO. I agree, Trxd! The first two certainly aren't bad, but they don't have that extra 'something' that's present in the Japanese one, do they?